Comedians used to have to wait for a Saturday Night Live audition to perform for nearly 10 minutes to deathly silence, but 7 Minutes In Purgatory series provides that opportunity without the requisite Lorne Michaels ring-kissing. In it, comedians perform for to a video camera, removed from the sights and sounds of the audience, which watches from a nearby room. Sound like fun? You can experience it yourself at this year’s 26th Annual Comedy Festival, which will present 7 Minutes In Purgatory live at the Hideout in Chicago on May 28. Who will it be? We can’t say. But for a taste of what it’s like, check out Podmass all-star (and Chicago native) Lauren Lapkus, who became a teenage vlogger for this new episode. Tickets for the festival are on sale now. 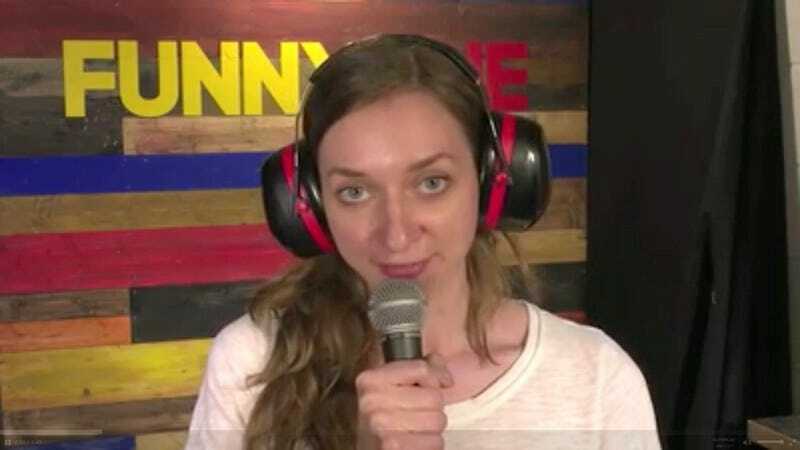 And if you aren’t already listening to With Special Guest Lauren Lapkus, you should correct that.